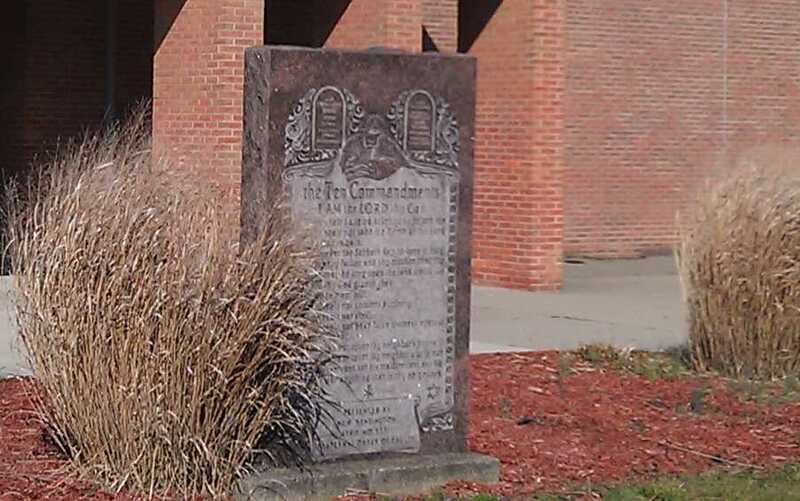 NEW KENSINGTON, Pa. — A Pennsylvania school district has agreed to remove a Ten Commandments monument on its grounds as part of a settlement with a prominent professing atheist organization that had sued over the Decalogue on behalf of a local teenager and her mother. “In order to take the high road, as they say, we compromised and agreed to remove the monument,” New Kensington-Arnold School District Superintendent John Pallone told TribLive. The district’s insurance company will also pay $163,500 in legal fees, which includes over $40,000 payable to the Wisconsin-based Freedom From Religion Foundation (FFRF). As previously reported, in 2012, FFRF filed a lawsuit against the display on behalf of local resident Marie Schaub and her daughter, who complained that they were disturbed by the monument’s presence. McVerry outlined in his ruling that Schaub had only seen the monument two or three times. Her daughter—whose name has not been released—also testified that she didn’t pay much attention to the display while on campus. The girl also no longer attended Valley High School. FFRF consequently appealed the ruling to the Third Circuit Court of Appeals, contending that the student indeed had “direct contact” with the monument. It claimed that the girl experienced harm because her mother enrolled her in a different school district so she wouldn’t have to pass by the Ten Commandments display. In August 2016, the Third Circuit overturned McVerry’s ruling, opining that Schaub did have a case as removing her daughter from the school to avoid seeing the commandments constituted injury. While the district ultimately decided to enter into a settlement, Superintendent Pallone expressed disapproval of how FFRF went about the matter. Pallone said that most don’t notice the monument, and note that he never realized it was there when he attended the school years ago. FFRF says that it is pleased that the display will be removed. The monument will be moved to another location, as several private property owners have expressed interest in displaying the Decalogue on their land. “It will likely be more prominent,” Pallone stated.